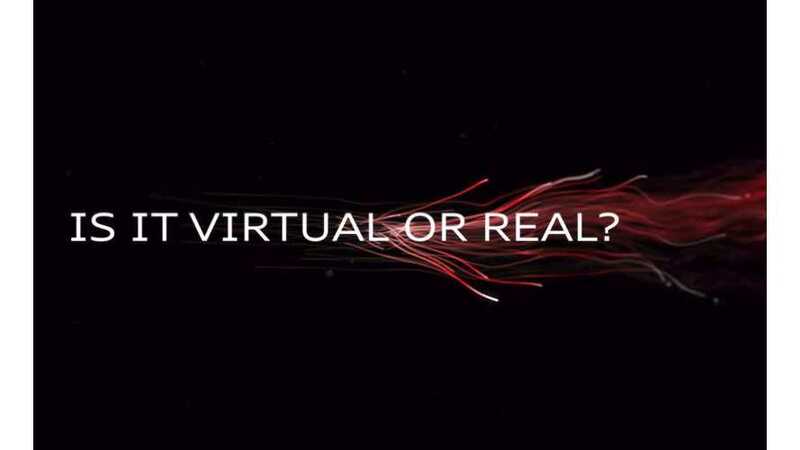 Audi Sport has dropped a teaser video (see directly below) prior to the virtual race car's debut set for next Monday. There’s been quite a bit of action happening in the auto gaming realm as of late. Forza recently announced a new car pack and some updates to its design editor, and Project Cars 2 has some new Porsches in the mix for its sim title. 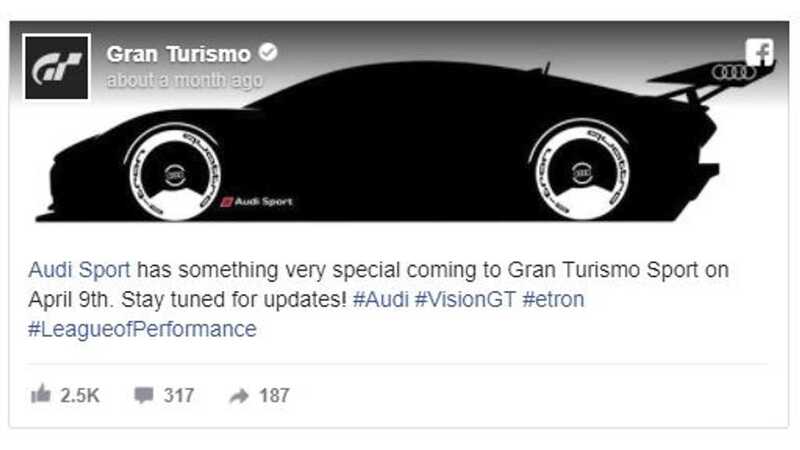 Apparently Sony couldn’t let all that slide without offering up something for Gran Turismo Sport, hence this curious Audi teaser posted a little while ago on Facebook. Obviously, the new addition has something to do with the German automaker. 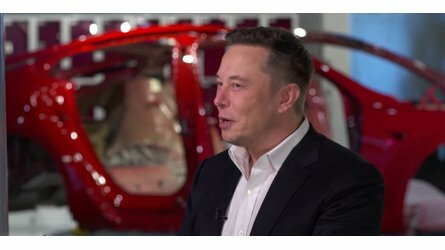 Judging by the string of hashtags on the post, we’re going to make a terrifically bold prediction and say a new Vision GT E-Tron is coming. We’ll make another wild prediction by saying it’s probably based on the R8, primarily because the shadowed outline looks nothing like the E-Tron SUV concept that the automaker just revealed at the 2018 Geneva Motor Show. Sony’s banner racing title for the Playstation 4 came out last October after a year’s worth of delays. Even then, the Gran Turismo Sport wasn’t a full-on automotive attack with a thousand cars and dozens of tracks like previous editions. In fact, the car count at launch was just 162 with only a handful of tracks, while its Xbox-based competition boasted numerous tracks and over 700 cars with Forza Motorsport 7 – a number which has since approached 1,000 with available car packs. Polyphony Digital pledged to offer more cars and tracks through updates, and that promise has been kept so far. Over 200 cars are now available in GT Sport, and with this Audi teaser there’s obviously more in the works. Despite the criticism for its lack of cars, the sim racing platform has been generally praised for its quality, realism, and attention-to-detail. We took a closer look at both Forza 7 and GT Sport last November and found the titles agonizingly close in many regards. At the end of the day we gave a nod to Forza, but with updates coming at a fairly consistent rate from the folks at Polyphony Digital, we may have to make a return engagement and reevaluate the latest evolution of both titles.